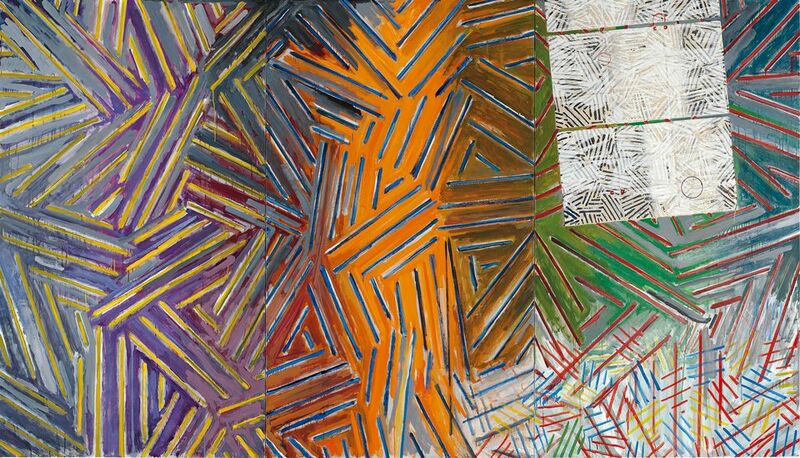 Before visiting “Jasper Johns: ‘Something Resembling Truth’“ at the Royal Academy of Arts (RA) in late September—London’s most extensive look at Johns’s art since his 1990-91 Hayward Gallery exhibition, organised in collaboration with the Broad in Los Angeles—I reread the raw text of my 2013 interview with the artist. Johns is not easily surprised in such situations, but one question broke his laconic conversational stride. The London artist who had posed the question was Richard Wentworth. What interested me most about the RA show as an American critic was the response of the informed London art public. So I arranged to visit the show with Wentworth. But as to contemporary response, Wentworth was optimistic. “I think students will see this work and be very affected by it,” he said. 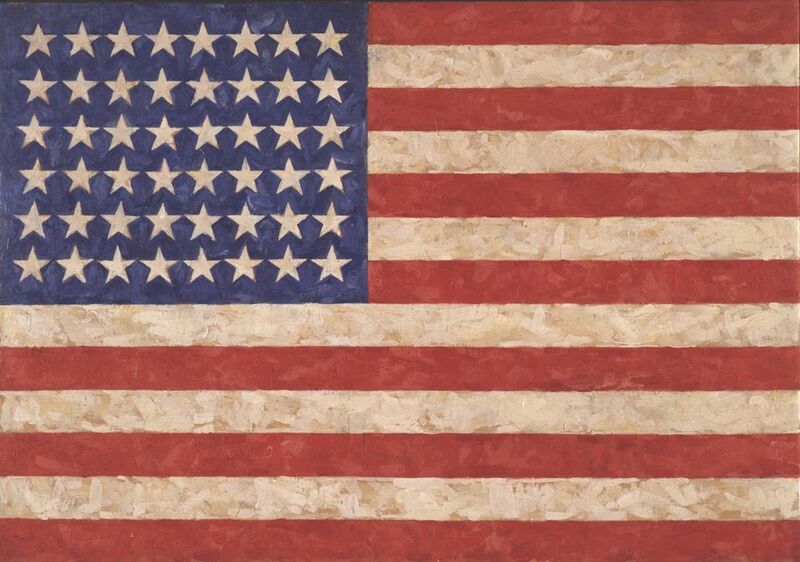 Wentworth was surprised that Johns’s infamous Flag, a 1958 version of the flat, edge-to-edge encaustic rendition of the 48-star Old Glory, as Americans call it, does not appear foursquare in the exhibition’s entrance gallery. By chance, we were soon told to stay out of a gallery that lay ahead because Johns’s famous 1960 pair of painted, cast bronze ale cans was being installed there, apparently having arrived late. I mentioned that the US flag—today’s 50-star version—is vivid in the public mind again now, under a president trying to marshal a nostalgic nationalism as cover for wholesale political reaction. But Wentworth was more startled to learn that the odd-shaped slate slab used in stonework that Johns took to mimicking in the late 60s—it makes a ghostly appearance in Within—is known in the trade as “irregular flag”. “Imagine what’s stored in an artist’s work that he can’t imagine is stored in it,” Wentworth said. At that, I remembered Paul Schimmel, the curator of the Los Angeles Museum of Contemporary Art’s 2005 survey of Robert Rauschenberg’s “Combines”, telling me how private memories embedded in the work of Johns’s youthful comrade and lover had brought Johns to tears several times during a private tour of the show. Turning his attention to the wordplay in Johns’s early work, Wentworth noted that “There’s this funny feeling that he’s talking to himself a lot.” Johns made great sport of stencilling colour names in corresponding and contradictory hues. “Don’t get the names wrong!” Wentworth said, in joking fantasy of an artist’s inner voice. “I imagine that he’s alone, that he’s quite lonely, whatever that means,” Wentworth said long before we came to Johns’s mid-1980s exercises in melancholy memory. “He uses workaday materials and humdrum techniques. Many, to me, are distinctly America-specific, inexpensive and straightforward,” the artist’s hand appearing literally among them. “I remember asking Jon Thompson what encaustic was,” Wentworth continued. “I’ve never really understood it, but I remember him saying you have to hold an iron to the back of the painting.” Deep in the exhibition, we encountered an encaustic painting with objects attached—Passage (1962)—that Wentworth deemed “magnificent”. It includes a silhouette of an iron, with its name stencilled in, acknowledging itself and irony as tools. I think of Wentworth as a maker of sculpture, though his photographs—a sort of running psychosocial journal of material life—have proliferated in recent years. So I wanted to know his response to some of Johns’s sculptures, such as Flashlight III (1958), an antique flashlight embedded in a lumpy matrix, like something from an archaeological dig.